The NFL’s free agency period officially began at 4:00 PM ET on Tuesday. As predicted, the Miami Dolphins made a huge splash by inking star wide receiver Mike Wallace to a 5-year, $60 million contract. Heading into next season, the 26-year-old Wallace will be the deep threat that Miami desperately needed throughout its 7-9 campaign in 2012. Wallace also gives second-year quarterback Ryan Tannehill a reliable red zone target, another void the Dolphins have struggled to fill. Now that the sophomore QB has a legitimate weapon, Miami may soon find out if Tannehill completes the two-decade search for Dan Marino’s replacement. After re-signing Brian Hartline last week, Wallace now spearheads a solid receiving corps. While Wallace stretches the defense, Hartline thrives in shorter routes. The former Ohio State Buckeye caught 74 passes for 1,083 yards to lead the Dolphins last year. His numbers should only improve from there. Miami’s third option, Davone Bess caught only 61 passes last season, but now slides naturally into the slot position where he’s most effective. Try to cover Bess with a middle linebacker and see how that works out for you. Wallace should make the Dolphins a playoff contender, but then again we could see history repeat itself. In April 2010, Miami traded two second-round picks to acquire Brandon Marshall from the Broncos. The Dolphins believed that pairing Marshall with strong armed quarterback, Chad Henne would create an offense capable of challenging the New England Patriots for AFC East supremacy. After two straight losing seasons, Miami fired head coach Tony Sparano. But that wasn’t enough. The front office dealt Marshall to the Bears for two third round picks, a downgrade from their original trade for Marshall. Immediately after the Dolphins shipped him out, Marshall and Jay Cutler became one of the NFL’s premier QB/WR duos. Last season, Marshall caught a career-high 11 touchdowns and was named an All-Pro for the second time in his career. This time around, Miami is expecting better results from their latest foray into the big name receiver market. Could we be seeing the beginning of a new era in South Florida? Will Ryan Tannehill take a big step forward in his sophomore season with Mike Wallace on the outside? 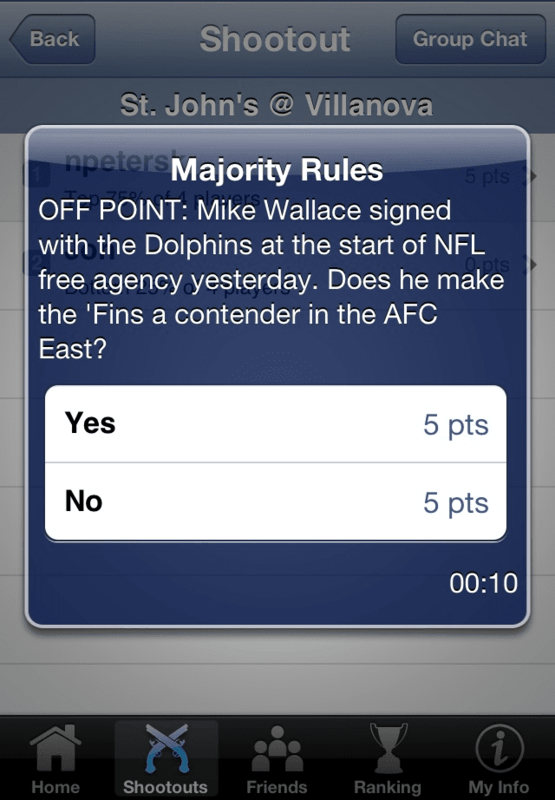 Or, will Miami fall into mediocrity once again, and be forced to ship Wallace out in a season or two? Check the blog throughout the coming weeks for more offseason NFL news.